In an effort to increase and focus our efforts on messaging and web communications, Mozilla Messaging is being absorbed by Mozilla Labs! Check out these explanatory blog posts by David Ascher and Mitchell Baker. P.S. Yes, I’ve been sitting on that title for weeks. This entry was posted in Mozilla, Thunderbird and tagged absorb, communication, merger, momo, mozilla labs, mozilla messaging on April 6, 2011 by Mike. 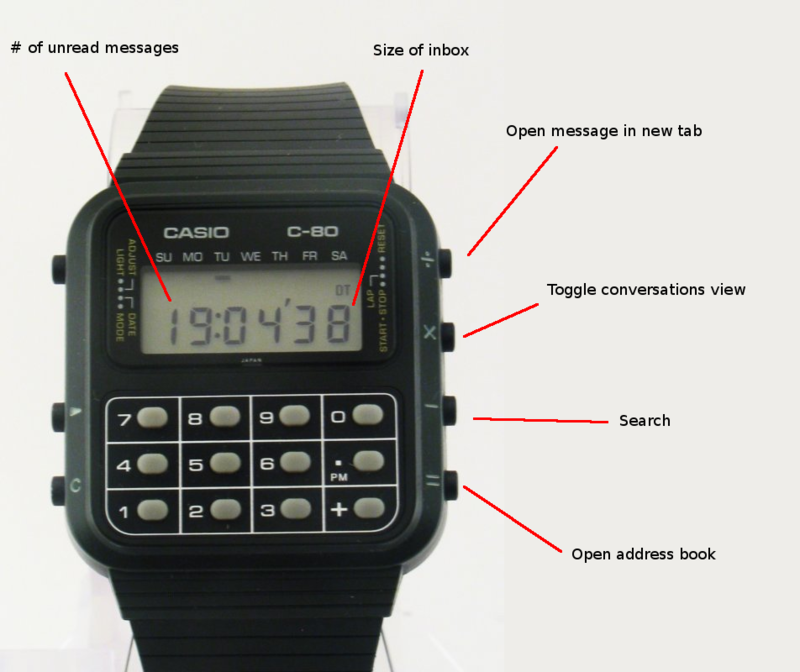 Integrating Thunderbird with the Casio Calculator Watch. It's your mail! On your watch! In the 80s! I’ll let you know when the add-on is available. This entry was posted in Thunderbird and tagged i forgot it was april fools on April 1, 2011 by Mike.